Dispatches from the 2016 election that provide an eerily prescient take on our democracy's uncertain future, by the country's most perceptive and fearless political journalist. 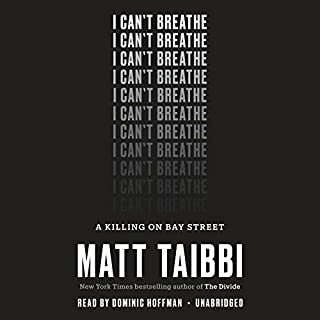 A riveting work of literary journalism that explores the infamous police killing of Eric Garner - from the New York Times best-selling author of The Divide. 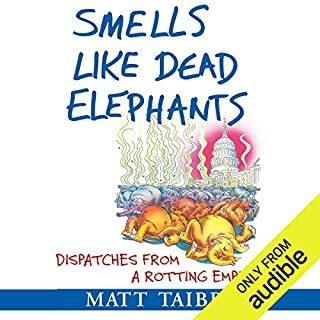 Bringing together Matt Taibbi's most incisive and hilarious work from his "Road Work" column in Rolling Stone, Smells Like Dead Elephants shines an unflinching spotlight on the corruption, dishonesty, and sheer laziness of our leaders. Rolling Stone's Matt Taibbi set out to describe the nature of George Bush's America in the post-9/11 era and ended up vomiting demons in an evangelical church in Texas, riding the streets of Baghdad in an American convoy to nowhere, searching for phantom fighter jets in Congress, and falling into the rabbit hole of the 9/11 Truth Movement. A scathing portrait of an urgent new American crisis. Poverty goes up. Crime goes down. The prison population doubles. Fraud by the rich wipes out 40 percent of the world’s wealth. The rich get massively richer. No one goes to jail. 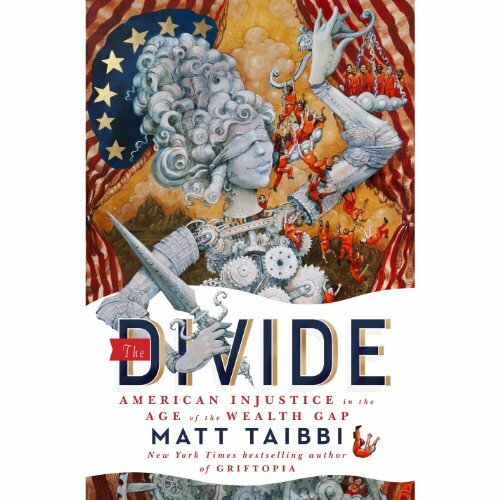 In search of a solution, journalist Matt Taibbi discovered the Divide, the seam in American life where our two most troubling trends - growing wealth inequality and mass incarceration - come together, driven by a dramatic shift in American citizenship: Our basic rights are now determined by our wealth or poverty. The Divide is what allows massively destructive fraud by the hyperwealthy to go unpunished, while turning poverty itself into a crime - but it’s impossible to see until you look at these two alarming trends side by side. Through astonishing - and enraging - accounts of the high-stakes capers of the wealthy and nightmare stories of regular people caught in the Divide’s punishing logic, Taibbi lays bare one of the greatest challenges we face in contemporary American life: surviving a system that devours the lives of the poor, turns a blind eye to the destructive crimes of the wealthy, and implicates us all. This is an interesting analysis that highlights the two divergent realities in the US. The way the author contrasts the legal treatment of corporations versus average citizens is unsettling. The comparisons provided were very insightful. Consider HSBC admitting to aiding the drug cartels and paying less than a years worth of their profit while a citizen is criminally charged then jailed for merely possessing the products of the same cartel. This book gave me insight into the different levels of citizenship in the US the moneyed and the rest. My view of the SEC fraud enforcement strategy is forever jaded when I consider the welfare fraud investigator going through a single mothers underwear drawer accusingly looking for signs of wealth while the banking industry document their misdeeds in the courts with complex language that even the judges cannot often decipher. Great inflection at the right moments, kept me interested. If you could give The Divide a new subtitle, what would it be? What did you love best about The Divide? I don't think love is the right word to use. 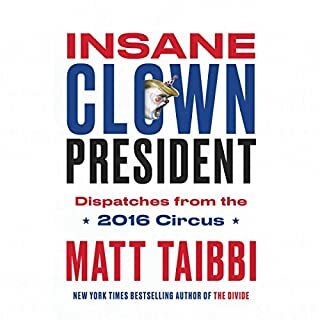 I really appreciate that Matt Taibbi wrote this book to help illuminate the unequal application of the law in this country. Also, it helped me to have a greater understanding of the time leading up to the economic meltdown in 2008. There were several moments - every time Mr Taibbi wrote about the African American men who were unjustly accused of a crime. I guess the one that stands out the most is when the men, riding in a Range Rover owned by one of them, were dragged out the vehicle by police while stopped at a red light. They had done nothing wrong yet it cost them both a year of their lives to get it all straightened out. The police practice of just grabbing people off the street, throwing them in the back of a van and then taking them to jail was (is) motivated simply by having a quota to fill. It's like they think "oh, we'll just grab anyone we feel like and then sort it out later". I highly recommend this book to anyone who cares about the inequality in this country - regardless of their political leanings, The fact that CEO's, Hedge Fund Managers and the like can commit massive fraud and not go to jail, is just wrong! The whole attitude of "too big to jail" is a ridiculous notion. Sadly, since none of these fraudsters were prosecuted and jailed, there was no incentive for the banks and wall street to make any changes. I see another (perhaps even larger) crash coming in the near future. I predict it will happen just before the 2016 elections. First off, if I could give 6 stars for Ray Porter's performance I would. He is by far my favorite narrator - his reading of "Ghost in the Wires" was also excellent. So, is this book a lefty attack on Wall Street and the Well-To-Do and a bleeding heart account of how the Poor are mistreated in this country? You bet yer hind-quarters it is! But it is NOT just a rehash of political rhetoric and talking points. I found it to be a very valuable juxtaposing of two irreconcilable realities. The lack of criminal prosecutions for white-collar crimes versus the over prosecution of harmless and sometimes unheard of crimes (holding up pedestrian traffic anyone?). A purely political book would not call out the Clinton and Obama administrations for poor policy decisions and hyper-politically-sensistive decision making. A purely political book would not examine arguments from the opposing perspective - perhaps not to the same degree, but counterpoints are raised and generally fairly addressed. But even if you were to surgically remove the anecdotes that favor the author's positions. Even if you were to toss out the grey areas that are open to debate. 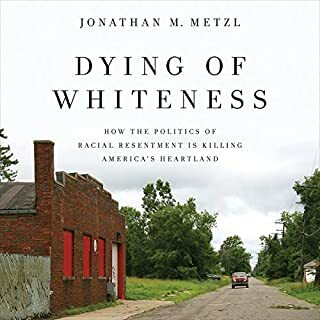 Even then you cannot read/listen to this book and not have to acknowledge that the divide exists, that it is growing, and that to fair minded people it is just plain wrong. Don't expect to walk away from this book feeling great. 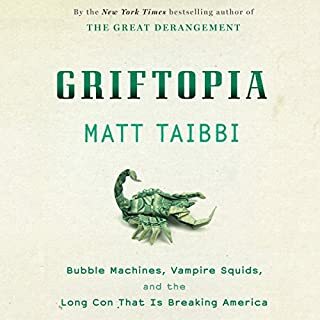 Taibbi takes you on a journey of corporate cronies who'll never see a jail cell, and compares them to the regulars who get thrown in jail for just about anything a cop feels like putting on the police report. He gives stories that will make you angry at the whole system. There's no political favors in the book either, it's pretty even down the isle. There are some parts that will completely go over your head and when you're about to say out loud "huh?" The authors says, "Confused yet?" Then he explains it in an easier way. By the end I was a little fatigued with hearing the contrast between bankers who swindled millions and flew off into the sunset, and regulars who just try and make it through each month with a paycheck. The narrator Ray Porter is the best in the business, can't go wrong with him. Overall: This book will make you think twice about police, justice system, and bankers. If you could sum up The Divide in three words, what would they be? We all are aware of the economic divide in American society today, but this book exposes the differential way our legal system treats the rich and powerful vs. the poor and disenfranchised. Taibii is enough of a journalist that he can paint the broad strokes with amazing statistics, but bring the story to life with personal stories, interviews, and e-mails. Very conversational style, brings the story to life. I thought it might be boring, but this book I could not stop listening to. Sometimes the sarcastic tone seems unnecessary. Comparing US legal system to that in Russia: there might be one set of laws, but they are disproportionately applied. The appalling rate of incarceration among urban blacks. The police state in large cities, such as New York. The locker-room mentality of wall street criminals. The terribly sad fate of so many poor people with no resources to fight injustice. The fact that some public defenders seem to have no understanding or sympathy for those they are assigned to defend. The author has a point of view- if you don't agree with him, you will probably not enjoy this book. I agree 100%, and it was wonderful to hear it so well articulated. What made the experience of listening to The Divide the most enjoyable? The insanity of how money predisposes people to success or failure in life. To whom and where you are born pre-destines people to a life of misery or comfort. Life for some really isn't fair. It just is. How in the hell did we get this way. Everyone should be reading this book! An in depth easy to understand book on the mess this country is in. It should be required reading. Giving it to my kids. We need a change. The stories in this book provoke me. I've recommended this to everyone I seen lately. Before anyone comments on the state of our society, I strongly suggest they read this book. I feel like Neo in the Matrix after he's taken the red pill. Would you rather struggle with reality or continue living in blissful ignorance? A crazy, sensory-indulging safari of information. The chapters about stop & frisk, immigrants, and welfare were so remarkably cringe-worthy, I had a pit in my stomach by the end of each chapter. On the other hand, the financial sector chapters were so elaborate and juicy, it was fascinating. I really started to examine my own reactions to these vastly different scenarios. I don't think I could pick one. They were all so compelling. Prem Watsa might have been my favorite chapter. It had me sitting in front of my house in my car until it was over. SOOOO charismatic. And his performance was spot on for this subject matter. If I had read some of the things in this book, I would have read it with a similar reaction. absolutely. I was surprised at how engaging it was. I was expecting it to be dry in parts and finance is practically a different language. 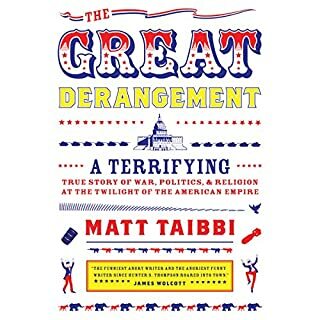 But Taibbi takes the reader on a.. not so much a roller coaster as it was a safari.. a crazy sensory-indulging safari. It introduced new context into how I perceive both the wealth gap and the justice system. I'm ashamed at how I used to look at people in these situations.